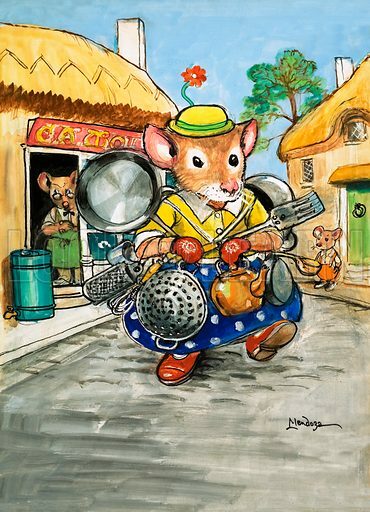 Town Mouse and Country Mouse. Original artwork from Once Upon a Time no. 167. Available worldwide for immediate download up to 3,400 x 4,706 pixels.